Despite the rumblings you may have heard about the Canadian real estate market being due for a price correction, right now is an excellent time to buy a new home. Interest rates remain very reasonable, and locking in to a great rate while working with Calgary home builders to create your customized dream house could help you realize tens of thousands of dollars in savings. There are two main types of mortgages: variable rate mortgages and fixed rate mortgages. With a variable rate mortgage, your interest rates will rise and fall in keeping with market fluctuations. Fixed rate mortgages offer a set rate for the agreed term of your mortgage. Definitely spend time with your lender or broker to weigh the advantages and drawbacks of each to make the best decision for your situation. “Locking in” to a mortgage means that you enter into a legally binding agreement with a lender to finance your home purchase at a specified interest rate. It is one step further than the pre-approval process. If you’re going to be working with Calgary home builders, start shopping for your mortgage and lock into your rate as quickly as possible. This ensures you will be protected in the event of an unexpected delay, as you will have already secured the most advantageous interest rate possible. 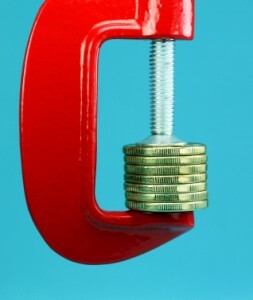 You should also familiarize yourself with the concept of a “rate cap.” Some lenders will include rate caps in the agreement, which protects the lender in the event that interest rates rise during the lock-in period. If this happens, you may be offered an interest rate slightly higher than the locked-in rate, but still below a specified threshold — the “rate cap.” The rate cap should be no more than 25 basis points higher than the locked-in rate. Finally, remember to go over the fine print in the agreement with a fine-toothed comb. You should be thoroughly familiar with all the potential situations that could trigger alterations or nullification of your locked-in rate. Fine Line Homes is one of the leading Calgary home builders, specializing in energy-efficient, eco-friendly custom-built properties. We work closely with all our clients, actively involving them in our unique process to ensure their new home helps them realize their lifestyle dreams. We’re also here to guide you through the home financing process, which differs slightly from what you would go through if you were purchasing a house on the resale market. To get started, please visit us online to learn more about the Fine Line Homes advantage, or contact us directly.